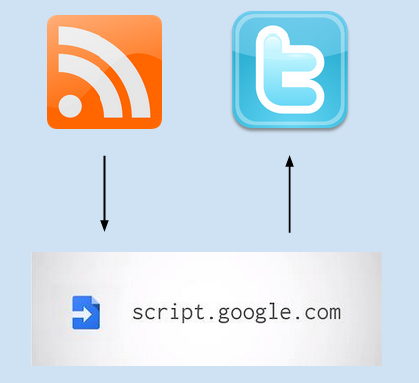 This article will show you how to create a simple twitter app using Google Apps Script to randomly tweet posts from any specified feed URL. For example, it can be scheduled to automatically tweet a random article from your blog once a day. If you have a WordPress blog, then another solution is to use the Tweet Old Post plugin. However, no such plugin or gadget exists for Blogger, which is what prompted me to write this article. 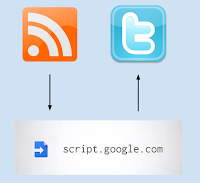 In addition, you can use this solution to post random articles from any feed for which you have the URL. 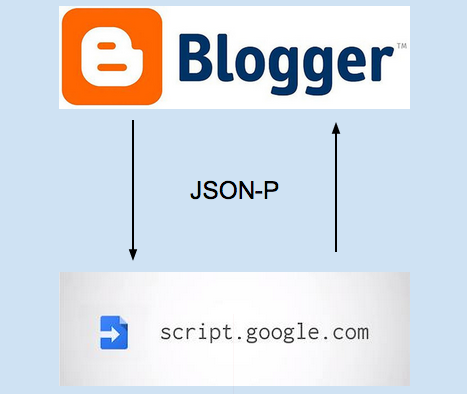 [Technorati Claim Code E37UMY4BPKYS] But if you control both the content in your Blogger page, as well as the code of the web service, then there is a way to get around this using an approach called JSON with padding or JSONP. In this article I'll share a simple example which you can modify to solve more complex problems where you want to execute some server side function in Google Apps Script without the user leaving the page of your blog.